When it comes to Bronze patinas the green finish you see on bronze horse sculptures is what usually comes to mind. This is common effect that comes from decades of acid in the rain slowly causing the patina effect. 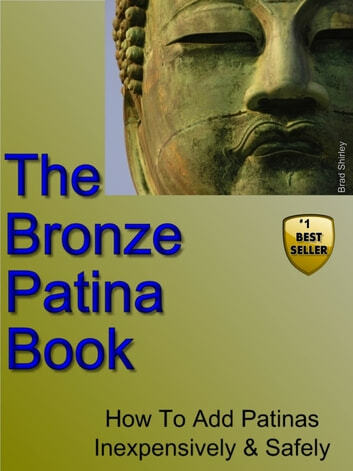 But in fact there are many colors of patinas in bronze. In this book I will show you how over 40 different colored patinas that you can use on bronze, copper, brass, and other metals. And do them right in your garage for some stunning bas relief effects. Gramma's Cooking Main Courses (Volume 2).